Use the latest tools in a controlled, consistent, and safe environment. We get it. Enterprise development is complex. We understand how tiresome it can get trying to keep up with the ever growing complexity of your technology footprint. Genuitec reduces complexity by providing leading products in a unified solution to ease the pains of the modern developer. If it feels like you are constantly taping together various technologies and praying nothing breaks each time you need to make a change to your environment, it’s time to get Genuitec and toss the tape. Our single solution delivers the latest technologies in a safe, secure environment—no more wasted hours attempting to munge together tools that barely work together or undo the damage caused by unvetted software introduced unknowingly by your developers. Are you feeling overwhelmed keeping up with a multitude of applications servers and the associated technology stack? Relax knowing you have access to all the technologies needed for enterprise development in a single environment that grows with you. You’ll no longer miss out on new technologies because of strict restrictions your current technology choice puts on you. Plus, the once complicated process of managing licenses, updates, rollouts, and standardization is now made simple. Do you have a love-hate relationship with technology? Love unlocking creativity with new technologies, but hate the chaos that often ensues when new technologies are introduced to your current disjointed environment? 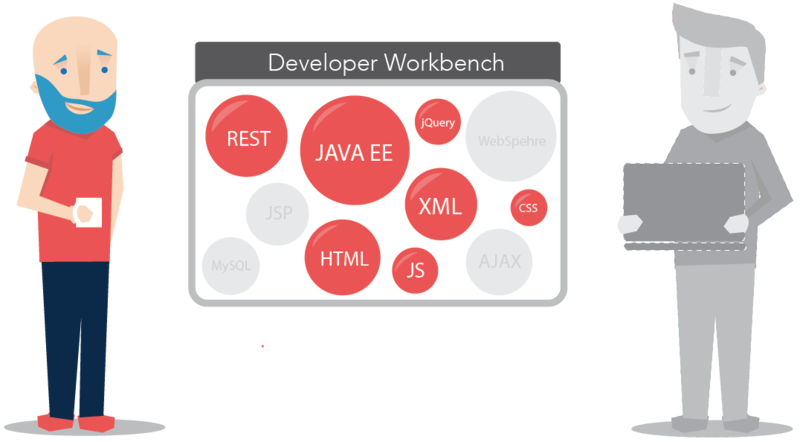 If the answer is yes, you are going to love Genuitec’s developer stack, our feature-rich environment for modern Java and Web enterprise developers. We don’t tie your hands by forcing you to stick with a limited offering of technologies. Our development team is constantly researching the latest technologies from all vendors and incorporating the best of these into our solution’s portfolio. We provide the latest and greatest, but recognize the importance of the oldies-but-goodies critical to development organizations. We maintain these important legacy tools so you aren’t forced to choose between legacy and modern technologies. Don’t let fear of supporting legacy software keep you from growing your development with new technology. We make it a breeze to go back in time and reconstitute a prior tool stack, including source configurations and code compliance settings. In a multi-team environment, different teams often have different needs. Without a single comprehensive solution it doesn’t take long for your teams to get out of sync, resulting in a loss of productivity and quality. We are a company founded by developers who understand the complex needs associated with modern enterprise development. 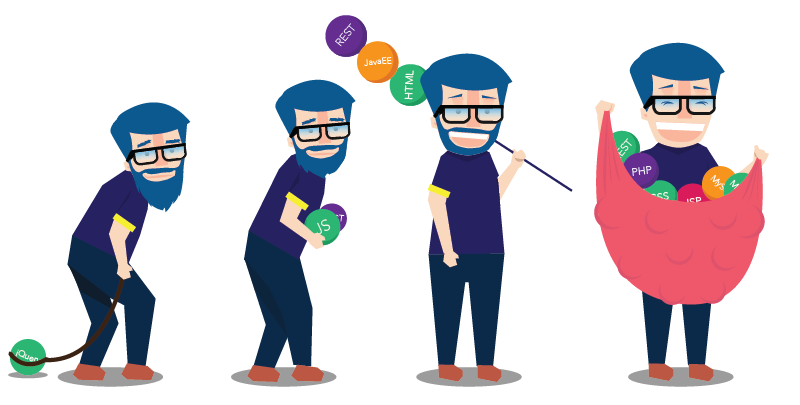 Let us help you unify your disjointed teams! It is difficult to maintain tool stacks for different teams in a large operation, not to mention costly! Both actual costs and productivity costs can be substantial when supporting multiple environments. We provide a single solution, regardless if you are developing for the desktop, cloud, web frontend or web backend. Developer needs differ. We make it simple to manage, package and deliver the tools that result in the optimal development environment for each team’s unique needs. Alerts for new tool stacks keep your team in sync. Plus, quick on-ramping saves your organization time and money and keep your developers coding. Do no harm is a great rule to live by! If you’ve ever had a developer unknowingly introduce malicious software into your environment, you’ll love the ability to manage your IDE from behind the firewall. 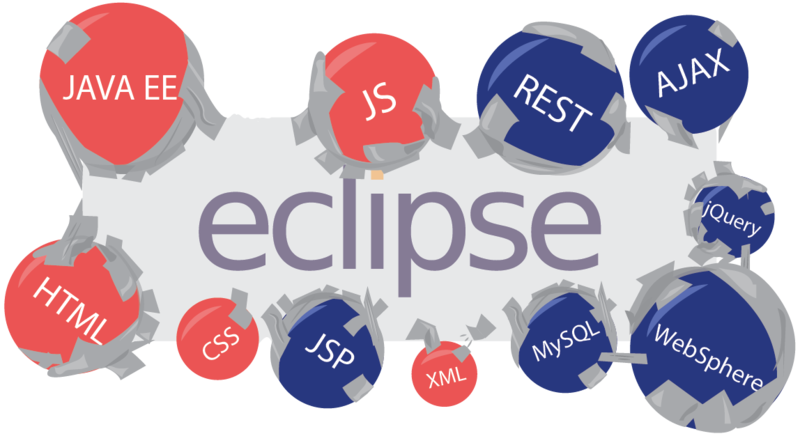 Plus, certified Eclipse plugins ensure the integrity of the tool stack and let you place limits on new add-ons. So much time is wasted before the typical developer gets to write a single line of code. Our solution reduces the time spent on project on-ramping, synchronizing tools, and releasing software by an average of 16 days a year. This doesn’t even include time undoing damage from malicious software introduced into your environment. One low and predictable annual subscription with free upgrades to new releases on a continuous delivery cycle. Plus, world-class support via our staff and community supported forums. Genuitec is a flexible solution that will come alongside your current technology to improve productivity and reduce costs on day one. Many customers opt to take their cost savings a step further by removing existing expensive line-items such as RAD from their budget and making Genuitec their comprehensive solution. It’s easy to give us a try without interrupting your existing workflow. We offer a 30-day free trial period that allows you to use our technology alongside your existing technology. More reasons to love us! Founded in 1997 by developers that understand the needs of the modern enterprise developer. Founding member of the Eclipse Foundation and active participant with a history of discovering developer needs and being first to meet those needs. Over 17,000 companies in 191 countries trust us with their development projects, including 70% of Fortune 500 companies. We currently have over 1 million users and are proud to have the best customer retention rate in the industry of 90%! Our number one goal is customer satisfaction. We offer an affordable solution, including support from our expert staff and updates on a continuous release cycle. We take customer feedback seriously and constantly strive to add value to our software. Creating a superior solution for enterprise development requires a highly competent team. That’s why we operate a virtual workplace with employees from around the globe. This allows us to attract and retain exceptional talent without limits. Remember the days when enterprise development was so much simpler? As technology advances, the tool stack grows and the complexity associated with being a full stack developer multiplies. At Genuitec, we make it simple to customize your development environment to meet your organization’s unique needs. You no longer have to choose to either modernize future development or maintain investment development! If you are ready to simplify the complex world of enterprise development, reduce developer stress and improve productivity, we would love to help you get started. A free trial, quick implementation, no special training, no disruption to your current environment—what do you have to lose?